Secretary of Ho Chi Minh City Party Committee Le Thanh Hai and Chairman of HCMC People’s Committee Le Hoang Quan, Deputy Standing Secretary of HCMC Party Committee Vo Van Thuong and Deputy of HCMC Party Committee Nguyen Thi Thu Ha welcomed high- level delegation from the People's Democratic Republic of Laos on their visit and work in Vietnam on August 20. The high level delegation led by General Secretary, State President of the People's Democratic Republic of Laos Choummaly Sayasone. On behalf of the Party, Government and people of Ho Chi Minh City, Secretary Le Thanh Hai thanked Mr. Choummaly Sayasone and his delegation on this visit to city. At the meeting, Mr. Hai reported the city's socio-economic achievements as well as challenges in the recent years. Although being the impact of global economic recession, the city has tried to overcome difficulties in order to reach the city’s economic growth rate of 9,6 percents since 2011 to 2013. Secretary Le Thanh Hai also expressed his desire Ho Chi Minh City, Vientiane and other locals of Laos will continue to strengthen cooperation in the various fields. On this occasion, President Choummaly Sayasone also reported with Ho Chi Minh City’s leaders achievements of his country, including economy, politics and security and defense. 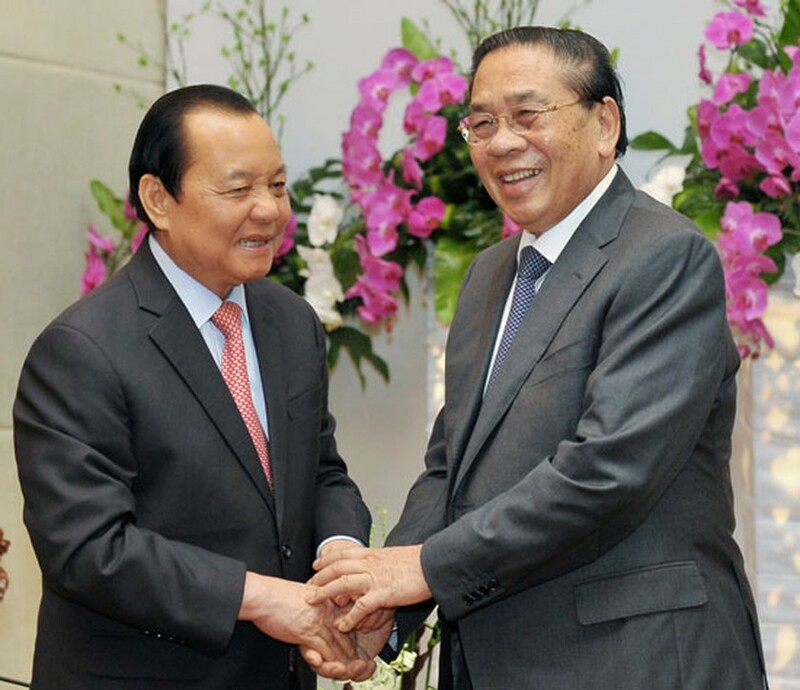 President Choummaly Sayasone appreciated cooperation relations between Ho Chi Minh City, Vientiane and locals of Laos, and congratulated great achievements of Ho Chi Minh City in fields such as economy, politics, education and security and defense.